Traditionally wood has been the material most used for decking, dominantly because it was for many years the only option and that association has carried through to the present day. Plastic decking was developed which avoided many of the drawbacks of conventional wooden decking such as the need to repaint or seal regularly and the difficulties caused by water ingress, but came with disadvantages of its own, chief among these being issues with cracking or bowing. Both wooden and plastic decking options suffer from the same inconvenient, and potentially dangerous, difficulties with becoming slippery in wet weather conditions. Aluminium alternatives were even more challenged by wet conditions and gave an industrial look which many domestic users found unattractive and incompatible with their style of home and garden. More modern alternatives have been created across all industries recently, however, as advances in technological processing have allowed more sophisticated products to be developed, such as those constructed by TimberTech. In the area of decking, this primarily means composite decking which as its name suggests is a combination of materials. 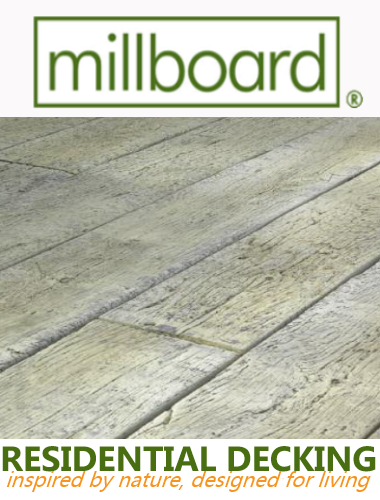 Usually natural wood, often recycled, is combined with synthetic materials, again sometimes recycled, to create a decking product which aims to replicate the benefits of wood and plastic while reducing or eliminating the negative aspects of both. Composite decking’s benefits are perhaps most evident in the rain, which in the UK is a significant consideration in both the short term and the long term. In the next incident of wet weather, wood can quickly and easily become slippy under foot, occasionally to the extent of rendering the area unsafe for use until it has dried out again. In the longer term, unless frequently re-treated with high quality and often expensive sealants, hardwood decking can begin to develop mould in response to continual damp conditions, eventually leading to rotting boards and potentially serious safety implications. While wood is attractive, initially it also discolours and stains easily if not refinished and it can crack easily in hot weather as well as its difficulties with wet weather. A hardwood decking is going to require lots of maintenance over the years to keep it in a safe and acceptable state, which is a certain area in which composite materials can be of benefit. Not being as susceptible to extremes of weather, the composite decking doesn’t require the constant round of upkeep which wood needs, and it has the same attractive appearance but keeps its looks for far longer without extra effort or expense. 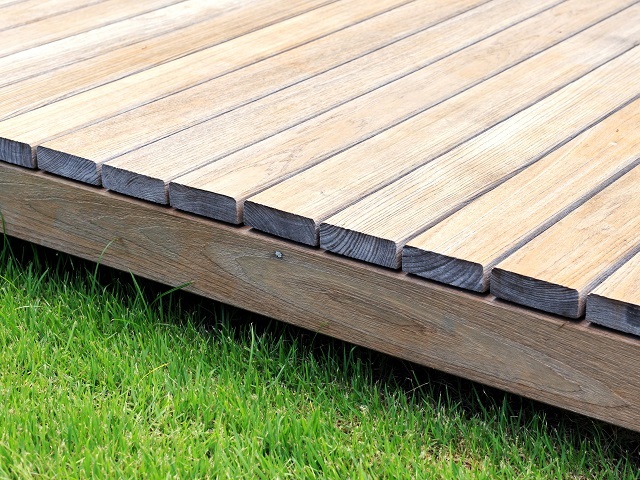 Plastic decking also requires little upkeep, but it is perhaps even more prone than wood to the dangers and inconvenience of slippage in the wet. Additionally, synthetic materials are considerably more likely to sag and bow than any of the other alternatives. Composite decking has the strength to keep its shape and resist sagging so retains its visual appeal for far longer. Aluminium decking may be more suitable for some commercial purposes than for the home, with an industrial look to it that doesn’t sit well with the average garden. Although tough, it is bulky and expensive and it’s difficult to make it complement the design and style of most houses. Composite decking has the appearance of wood and can sometimes be stained to change the look. The plastic inserts that most composite decking now has to keep mildew at bay which also adds to the attractiveness of this option and the good looks last for considerably longer than the other alternatives without the need for extensive maintenance.